I've been in Tucson for almost six years, and yesterday was my first time going to the gem and mineral show. 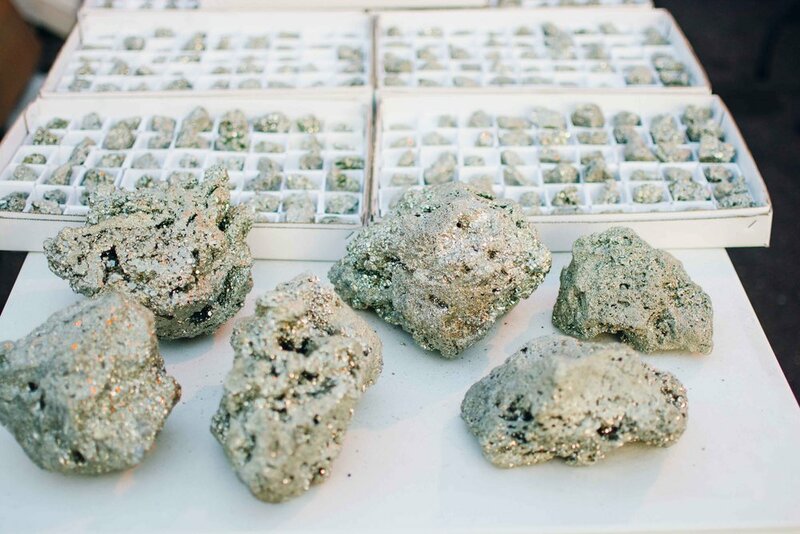 The Tucson Gem and Mineral show is known as the world's greatest treasure hunt. 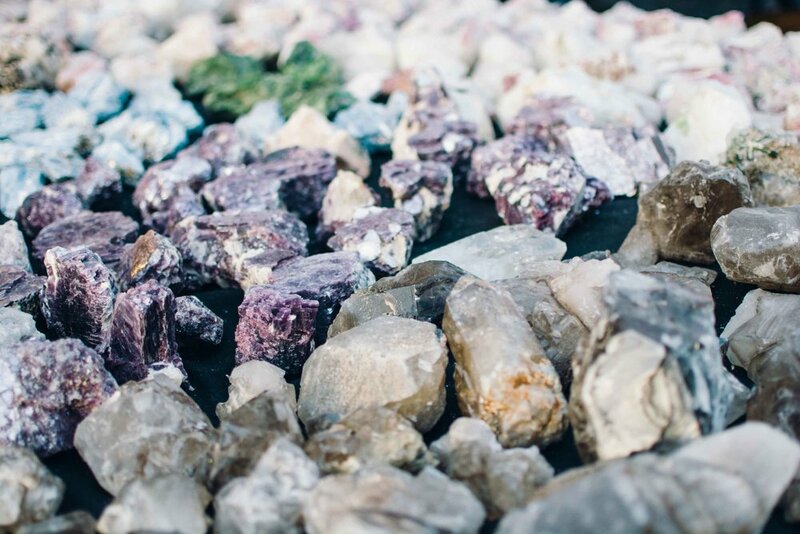 At the beginning of every year, Tucson becomes an international stage for for gem and mineral trading. So in light of the perfect weather in our city and the culture fest happening in our streets, Erick and I decided to venture out into the town. The show takes over our city for two weeks and it is located in various spots throughout Tucson. With so many options, where to start was the first question. So we headed over to instagram to see where the good stuff was at. 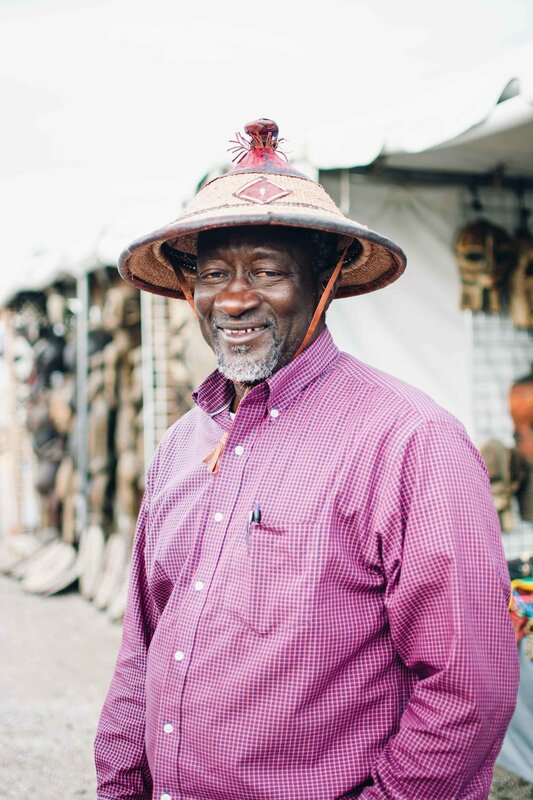 Creative Tribe shared snippets of beautiful African artwork on their instagram, so without hesitation, we decided to make the African Art village our first stop. 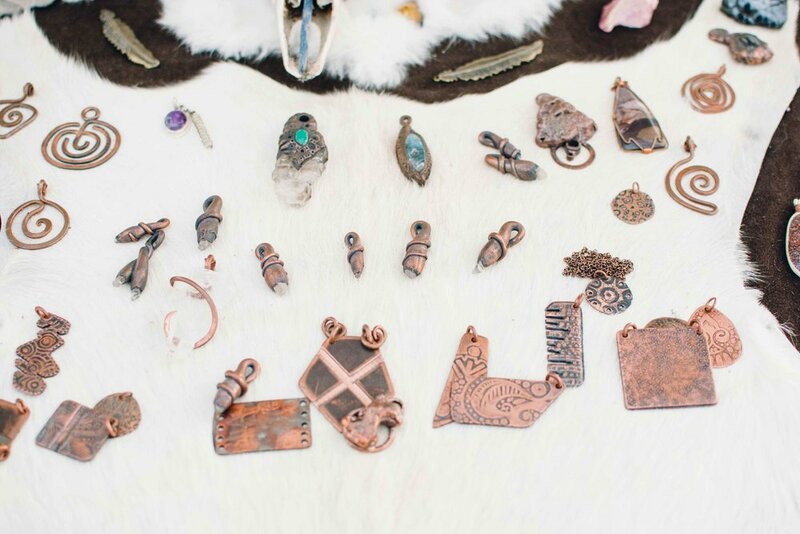 Before we entered the African Art village, we found a sweet lady selling beautiful handmade jewelry. She kindly allowed us to photograph her work, but I have to admit that not everyone was happy to have their work photographed. Understandably so, some artisans were very protective of their designs and said no as soon as they saw a camera. One of my biggest inspirations is street photography, and candid images are among my favorites photographs. However, Erick almost got into trouble for trying to take a few candids! His face was priceless. 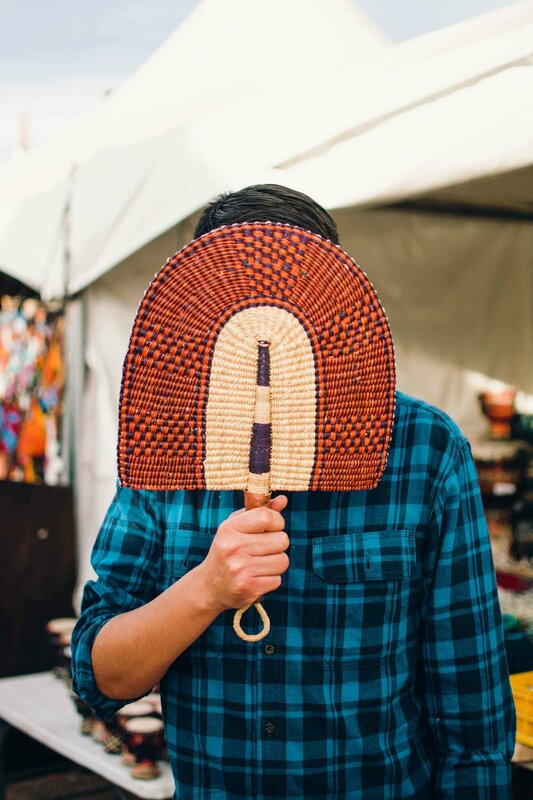 We kept walking around, admiring all the stunning handwoven baskets, the vibrant jewelry and the statues that tell so many stories about the origins of humanity. Being an incredible feeler, Erick pointed out that the sculptures have a special energy that transmit very accurately the emotions of an entire continent. And as long as we were allowed to, we documented more of the culture fest. At the end of the night, we wanted to buy some quartz but weren't sure what the difference was between some crystals priced at $1 and another table with similar-looking crystals but whose prices varied from $100-$300. They were almost the same size and the same color, but the difference in price was due to how transparent and sharp the crystals were. We went home with one crystalline piece of quartz, but definitely not the $300 one. 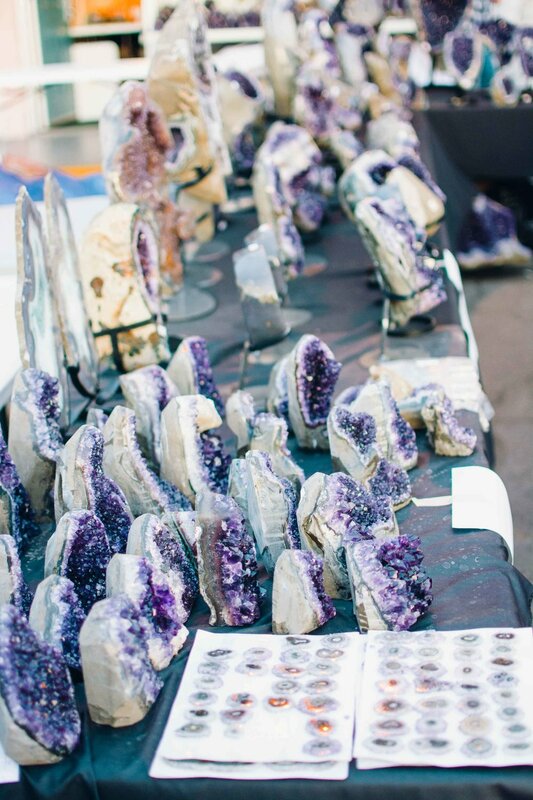 Did you go to the gem show? 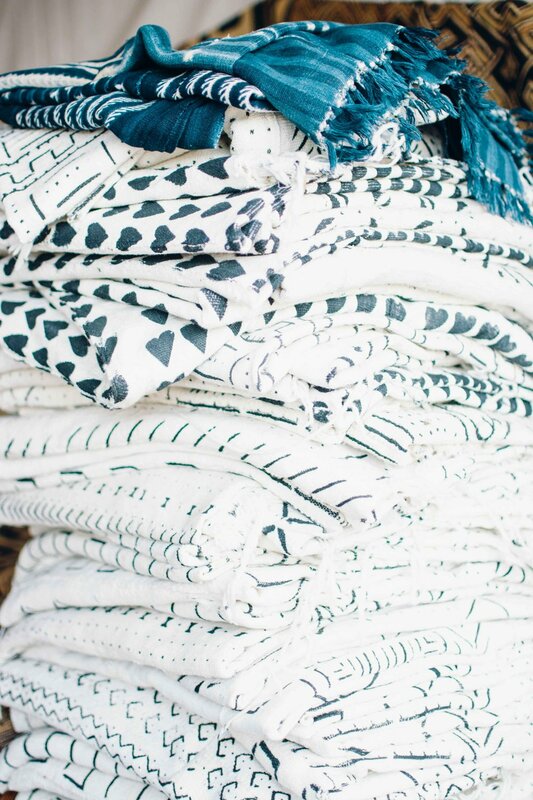 Which spots should we check out next?